WASHINGTON, DC – U.S. 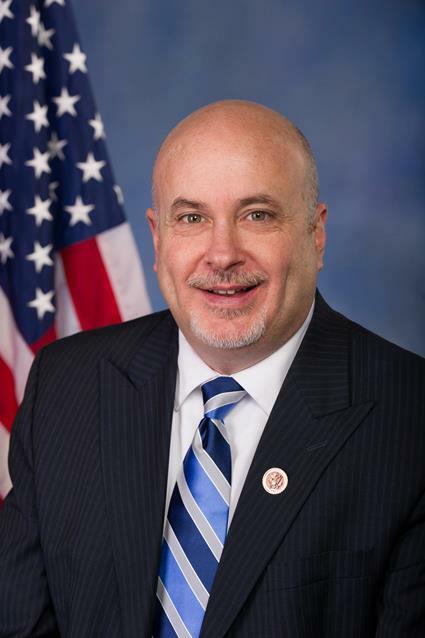 Representatives Mark Pocan (WI-02) and Ro Khanna (CA-17) led a bipartisan group of 55 Members of Congress in writing to Daniel Coats, Director of National Intelligence, calling for the release of information regarding the U.S. intelligence community’s advance knowledge of Saudi Arabia’s plot to capture journalist and American resident Jamal Khashoggi. The letter comes as the Trump Administration continues to downplay the involvement of the Saudi regime’s top leadership in the capture and death of Mr. Khashoggi within a Saudi diplomatic facility. “As you are aware,” write the U.S. Representatives to Director Coats, “Intelligence Community Directive 191, issued in 2015, specifies the duty of the U.S. intelligence community to warn both U.S. and non-U.S. persons of threats of serious bodily injury, kidnapping, and intentional killing.” Considering “the profound ramifications of this potential crime, U.S. foreknowledge of Saudi plans to detain Mr. Khashoggi, and whether the U.S. intelligence community carried out its duty to warn, we intend to use the full force of Congressional oversight and investigatory powers to obtain these answers should they not be forthcoming,” concluded the Members. Among the signatories of the letter are Ranking Members Nita Lowey (D-NY) and Jerrold Nadler (D-NY) of House Appropriations and Judiciary Committees, respectively. Both the House and Senate are poised to exercise oversight and investigatory responsibilities regarding this issue and others surrounding the murder of Khashoggi. Rep. Gerry Connolly (D-VA), for whom Mr. Khashoggi was a constituent, also signed the letter. “We look forward to your timely response to our inquiry as both the House of Representatives and the Senate consider privileged resolutions this fall, such as H. Con. Res. 138 and S. J. Res. 54, which invoke Congress’s sole constitutional authority over the offensive use of force to end illegal U.S. military participation with Saudi Arabia in Yemen,” added the Members. In his final column published by The Washington Post before his disappearance, Khashoggi argued that “Saudi Arabia’s crown prince must restore dignity to his country — by ending Yemen’s cruel war.” Khashoggi urged Mohammed Bin Salman to take account of the “poverty, cholera and water scarcity” afflicting Yemen as a result of the deadly air campaign that he had launched in 2015 with U.S. participation. Such high-profile examples of dissent are thought to have spurred Mohammed Bin Salman into ordering the capture of Khashoggi. The Washington Post reported on October 10th that United States intelligence agencies intercepted Saudi officials’ conversations which demonstrated that Crown Prince Mohammed Bin Salman, de facto head of the Saudi regime, ordered an operation to lure The Washington Post columnist and American resident Jamal Khashoggi into Saudi custody and detention. Preliminary evidence made publicly available suggests that 15 Saudi officials, including a forensics chief and autopsy expert, likely murdered Mr. Khashoggi after he entered the Saudi consulate in Istanbul on October 2nd. The State Department’s Country Reports on Human Rights Practices for 2017 present evidence of a regular pattern of torture and physical coercion utilized by Saudi officials against detainees. In November 2017, for example, Saudi regime authorities began holding influential Saudi nationals in captivity. At least 17 individuals were reported to have been hospitalized due to injuries sustained under physical abuse; one apparently died in custody with a twisted neck, a badly swollen body, and other signs of injury. Prime Minister of Lebanon Saad Hariri was also reportedly physically threatened and intimidated by Saudi officials after arriving in Saudi Arabia in 2017. Given that your office oversees the U.S. intelligence community’s duty-to-warn process, we seek urgent answers as to whether Mr. Khashoggi was in fact contacted about the credible threat to his life and liberty posed by the Saudi plot to capture him; the precise date on which any arm of the U.S. intelligence community first became aware of the Saudi plan to detain Mr. Khashoggi; and whether the intelligence community will declassify portions of U.S. intercepts of Saudi officials relevant to Mr. Khashoggi’s disappearance. Considering the profound ramifications of this potential crime, U.S. foreknowledge of Saudi plans to detain Mr. Khashoggi, and whether the U.S. intelligence community carried out its duty to warn, we intend to use the full force of Congressional oversight and investigatory powers to obtain these answers should they not be forthcoming. We look forward to your timely response to our inquiry as both the House of Representatives and the Senate consider privileged resolutions this fall, such as H. Con. Res. 138 and S. J. Res. 54, which invoke Congress’s sole constitutional authority over the offensive use of force to end illegal U.S. military participation with Saudi Arabia in Yemen. In weighing the merits of U.S.-Saudi military cooperation, it is imperative that Members of Congress have a full, detailed grasp of the intelligence community’s knowledge of Saudi actions and their potentially harmful impact on the wellbeing of U.S. residents and citizens, as well as any U.S. intelligence failures pertaining to Saudi activities that may have contributed to needless loss of life.